The answer to this question is urgent in light of ongoing police violence across the country. Virulent videos of Blacks subjected to police aggression have spread nationwide by phones, computers, TVs and tablets. These troubling, yet spectacular visuals, have pulled the covers back to allow mainstream America to see the dark and ruthless nature of law enforcement. Unarmed Blacks have senselessly died by strangling, tasing, and shooting in the back at the hands of police. Recently reported was an unarmed man shot despite his being on the ground with hands raised in surrender. Another was reportedly killed despite lawfully carrying a firearm. The ample proof of police wrongdoing raises alarming flags about the status quo, where police killing of Blacks is prevalent and successful prosecution of police is not. In this article, Devon Carbado offers a compelling answer. He asserts that Fourth Amendment doctrine paves a path for police to engage civilians, especially Blacks, in ways that escalate into violence and death. Police officers are embodied with various levels of discretion in their enforcement efforts, and can be motivated by social motives, including cultural biases. Carbado shows, with meticulous detail, how Fourth Amendment doctrine leaves racism virtually unchecked in policing practices. Rulings by the Supreme Court on search and seizure make it clear that where police have a pretext to stop a person on the street or in a vehicle, the seizure is lawful so long as the officer has a requisite level of suspicion to make the stop. That there is little constitutionally to curb the police’s use of discretionary power when choosing one person over another puts a sarcastic twist on the meaning of “con” law. The work demonstrates how a significant body of Court precedent renders African Americans vulnerable to repeated police interactions. To illustrate the groundwork that the Court has laid in this area, Carbado constructs hypotheticals that clearly show how police may conduct themselves without triggering Fourth Amendment protections for the individuals they survey and engage. The scenarios provide a piercing glimpse of how police can initiate a myriad of interactions that trigger suspicions that escalate into searches, arrests, police violence, or worse. Carbado’s work stands as a multifaceted piece of scholarship that has widespread utility and appeal. The work is a creative and intelligent contribution to legal scholarship that lays out a critical frame for Fourth Amendment jurisprudence. Simultaneously, it is a valuable teaching tool for undergraduate, graduate, and law school courses, and has potential to teach far beyond the typical law review readership. As this work analyzes real-life situations in a simple fashion, it has a “Street Law” appeal that is certain to help educate the public. As such, this manual-like work will undoubtedly be useful to groups like Black Lives Matter, Color of Change, and others catalyzed by relentless police brutality. Many will surely find this article to be a great intellectual support in the struggle for police reform. Carbado’s article is compelling, high-caliber scholarship that rises in opposition to the status quo. The content is of immediate benefit to all readers, particularly those seeking to understand their Constitutional rights against abusive and deadly police conduct. This work is an example of Ivory Tower knowledge created to benefit the public directly. Carbado successfully tells the story of how courts enable police oppression of minorities, and this effort is likely to garner plenty of street cred along the way. Cite as: SpearIt, Color Coded Criminal Procedure— Exploring How Law Enables Racism, Disparate Treatment, Violence, JOTWELL (June 19, 2017) (reviewing Devon W. Carbado, From Stopping Black People to Killing Black People: The Fourth Amendment Pathways to Police Violence, 105 Cal. L. Rev. 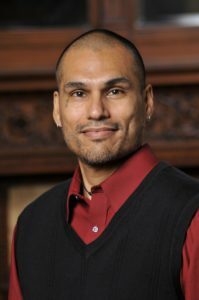 125 (2017), available at SSRN), https://crim.jotwell.com/color-coded-criminal-procedure-exploring-how-law-enables-racism-disparate-treatment-violence/.